From a young age, I had an interest in Anatomy and Physiology and Remedial Massage was a natural career choice for me. My mother had a Laminectomy when I was young, and my sister and I would give my mother massages which helped alleviate her pain more than any medicine did. I’m influenced by working with an incredible team around me. They keep me wanting to constantly improve and be on top of my game. I completed my studies at NMIT in Melbourne, with continued ongoing professional training and development to keep my skills and knowledge relevant to current treatments. I use a combination of techniques including Dry Needling to facilitate recovery. I particularly enjoy treating Lower Back pain, knee injuries (pre and post-surgery) and shoulder injuries. I have previously worked with high performing athletes and enjoys helping the public. In my down time I enjoy, reading, going to the beach with my Jack Russel and Rescue dog and catching up with friends. 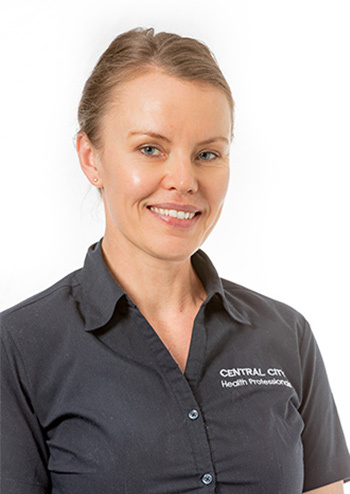 To schedule your session for a relaxing, therapeutic massage, contact Perth City Massage in the Perth CBD today!